Modupe-Oreoluwa Oyeyemi, Nigerian artiste better known as Mo’Cheddah, says that she once battled depression to the point of considering jumping off Third Mainland Bridge. The 28-year-old fashion designer said older colleagues in the industry hated her when she got into the industry. “I was coming from a naive, God-fearing family and I went into the world of adults and I was thrown into a jungle and people did not care if I was 16, they attacked me,” she said in an interview with DANG Network. 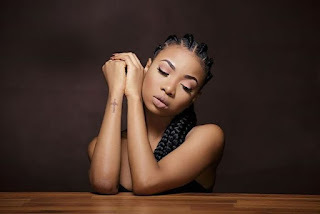 Explaining her abrupt exit from the music scene, Mo Cheddah said people did not understand her side of the story when she left Knighthouse records. NAN reports that she left the record label in February 2012 due to irreconcilable differences and founded her own label. Mo’Cheddah broke into the music scene at 16 years with a feature on ‘Won Beri’ and had to take a break from the industry in 2015. She currently runs a fashion house called Mo Cheddah.co and counsels young girls through her brand.